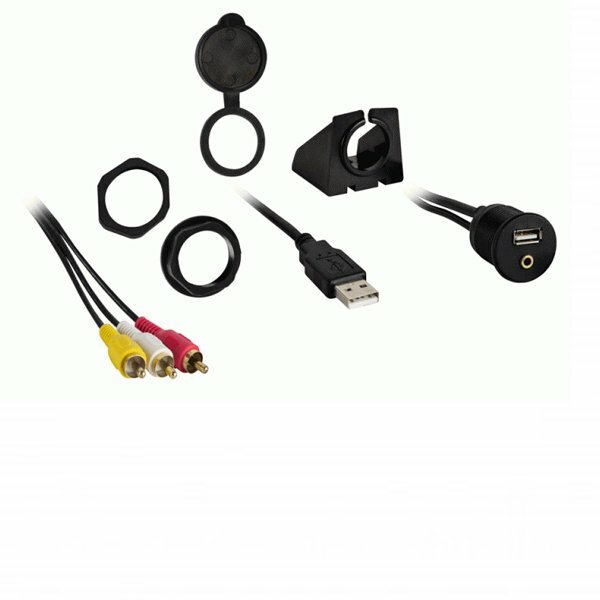 The MTIBR75 Cable connects to a USB and 3.5mm AV jack port and provides a 6′ (180cm) extension. The female end of the cable features a flush mountable design. The MTIBR75 also features a mounting bracket that can be used to mount the AUX/USB connector without drilling holes in the vehicle.